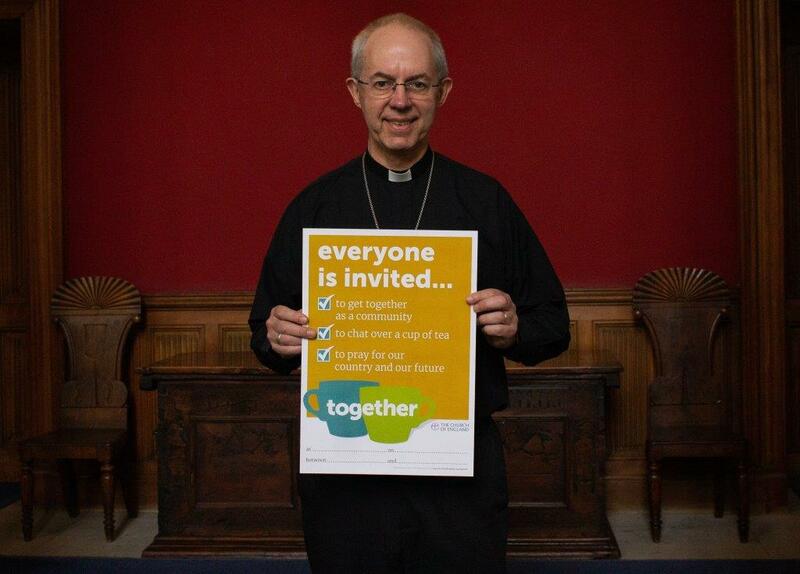 Backed by the Archbishops of Canterbury and York, newly-commissioned resources launched this week invite people to ‘get together and chat over a cup of tea and pray for our country and our future’. The packs also include flyers, graphics for social media and invitations which can be personalised for local use. 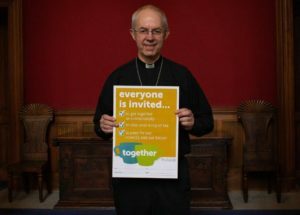 The Archbishop of Canterbury, Justin Welby, said: “As followers of Jesus Christ,we are called to demonstrate that love for God and for each other, along with compassion, solidarity and care for the poorest, are our defining values. These values have been the bedrock of our national life for many centuries. They are not simply our history: they are also our best hope for the future. The resources, which have been prepared by the Church of England’s Liturgical Commission and Mission and Public Affairs teams, can be downloaded from churchofengland.org/together.